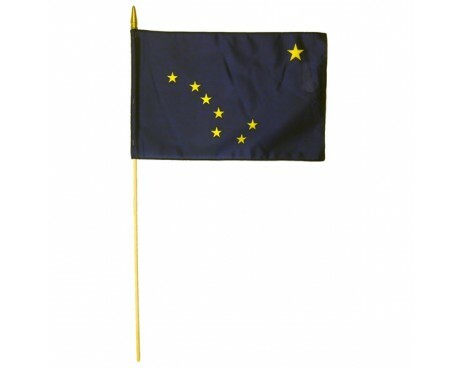 The Alaska state flag is one of the few state flags in America that is older than the state that it represents. 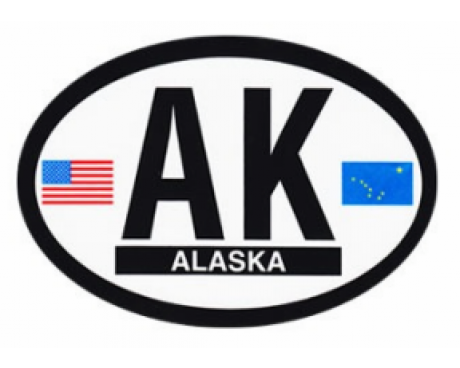 It was adopted when Alaska was an American territory rather than a full state, and it has represented Alaska without any changes ever since that time. 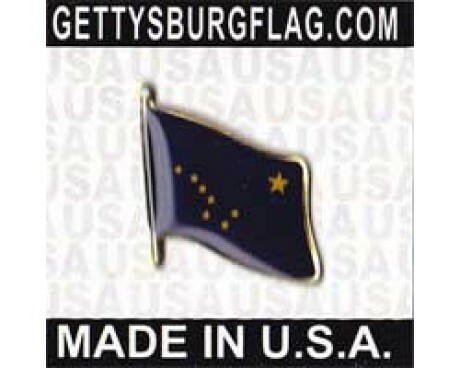 Alaska state flags have dark blue field that display eight golden stars. Seven of those stars are arranged to form the Big Dipper, while the eight is set apart from the others in order to represent the North Star. The North Star is a symbol of Alaska itself, which is the northernmost state in America. The Big Dipper is a reference to a larger constellation, Ursa Major. Ursa Major resembles a bear, which is another symbol of Alaska. The field is reminiscent of the night sky, but it was also chosen for its resemblance to the color of Alaska's state flower, the forget-me-not. 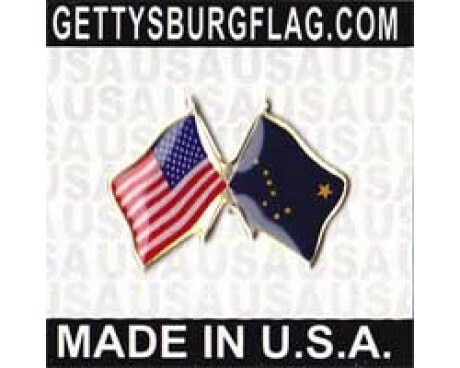 Alaska state flags came into use slightly more than thirty years before Alaska gained its statehood. Alaska used a standard American flag to represent itself for the majority of its time as a territory, but that policy changed as Alaska began to move closer to full statehood. The American Legion sponsored a contest to design a flag for Alaska in 1927. 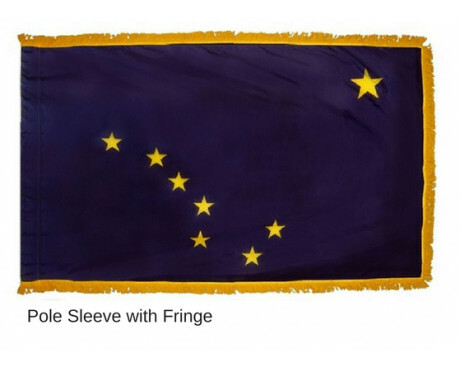 The contest was restricted to Alaskan children, and the child who designed the winning flag was only thirteen years old at the time. The contest received more than seven hundred different entries, but the winning design came from a boy from Seward who was named Benny Benson. He received a prize of one thousand dollars and a watch in return for designing one of the state's most enduring symbols. 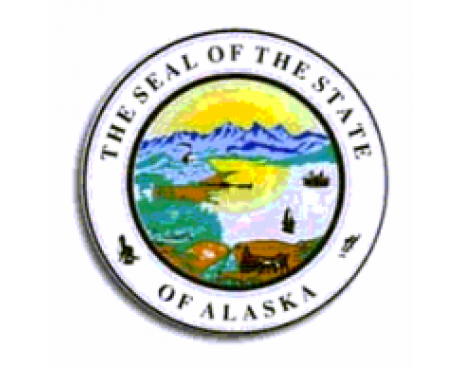 Alaska became a full state on the third of January, 1959. 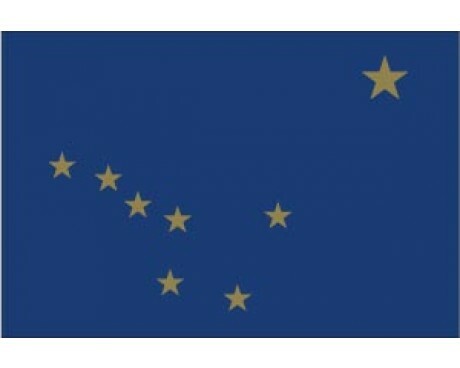 The new state government confirmed that Benson's design would be the Alaska state flag on the same day, and the government has never seen fit to make any changes to the original design. The Alaskan government also recognized the flag's symbolic importance by adopting a song that was written about it as the official state song of Alaska at the same time. Alaska lies at the northwestern extremity of the USA, and was discovered by Bering in 1741. A competition to design a flag was won in 1927 by Benny Benson, a 13-year-old who received $1,000 for his efforts. The territorial legislature made the design official on May 2nd of 1927. Alaska's northerly position was obviously Benny Benson's inspiration for his design, which shows the large North Star with the Great Bear below it. The only difference between today's flag and the original design is the color blue that is used. Benny chose a forget-me-not blue to match the state flower. However today's flag uses the OG Blue (Old Glory Blue) used in our national flag. Alaska lies in the far northwest of the American continent, facing Siberia. Settled by Russian traders in 1744 and run by the Russian-American Company, which sold it to the USA in 1867 for $7.2 million. In 1884 it became a district of Oregon, and became a Territory in 1913. Alaska was admitted to the union on January 3rd 1959. (d) When displayed horizontally in a public facility, the flag shall be positioned with the hoist on the left and the North Star in the upper right corner. (e) When displayed vertically in a public facility, the flag shall be positioned with the hoist at the top and the North Star in the lower right corner. Section 44.09.032. Folding and presenting the state flag. (8) fold the flag widthwise a third time, with the North Star facing up. (b) When presenting the folded flag to another person, the folded flag should be turned so that the North Star is nearest the receiver. Sec. 44.009.034. Retirement of the state flag. An official flag of the state that is no longer a fitting emblem for display because it is worn, tattered, or otherwise damaged may be respectfully retired by fire in a ceremony or other dignified manner honoring the flag as a fitting emblem for the state. When practicable, retirement of the state flag should occur in a public ceremony under the direction of uniformed personnel representing a state or federal military service or a patriotic society. If a formal ceremony is not practicable, a private ceremony is acceptable. Sec. 3. AS 44.09.030(c) is repealed.